Are you aware that car accidents are the number one killer of South Carolina teens? This alarming statistic has led to the implementation of a Graduated Driver License (GDL) program, regulated by the SC Department of Motor Vehicles. Under the GDL, teens must reach certain age- and experience-related milestones on their path to a full driver's license. One of the first milestones on your path to your South Carolina driver's license is to obtain your beginner's permit, which is more commonly referred to as a learner's permit in other states. If you're new to South Carolina and you have a valid learner's permit from your previous state, you may exchange your out-of-state permit for a South Carolina beginner's permit. You must have this permit for a minimum of 180 days before you apply for your driver's license. Any time you spent holding your out-of-state permit will be applied to your beginner permit, but if your permit has expired, you'll be required to pass a vision and knowledge test. The fee for the knowledge test is $2. The fee for a beginner permit is $2.50. Proof of identity/citizenship/date of birth (birth certificate, valid U.S. passport, Certificate of Naturalization). Proof of Social Security number (Social Security card, 1099 form, W-2 form). 2 documents proving residency (student ID, report card, letter or contract from home schooling). Proof of any and all name changes. Payment for the $2.50 permit fee. 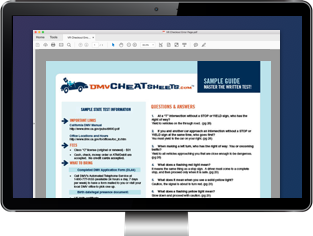 Once you have all the required documents gathered, it's time to head to a DMV office for your knowledge test. It's always a good idea to make an appointment and save yourself some time. The exam is based on information about state-specific traffic laws, road signs, and safe driving techniques that are discussed in the South Carolina Driver Handbook. You'll learn things like safe stopping distances and who has the right of way. If you want to ensure that you'll pass your test on the first attempt, try an online practice test. You may drive between 6 a.m. and midnight if accompanied by a person 21 years old or older with a minimum of 1 year of licensed driving experience. From midnight and 6 a.m., you may drive if your parent or guardian is seated next to you. Your supervising driver must always be in the front seat next to you. Any person with a beginner's permit must hold it for a minimum of 180 days before applying for an initial driver's license. While you don't need proof of Driver's Ed completion to obtain your permit, if you're under 17 years old, you WILL need to complete a course in order to obtain your conditional driver's license. Your Driver's Ed course must include 8 hours of classroom instruction and 6 hours of behind-the-wheel instruction. For more information, please refer to our Drivers Ed in South Carolina page. All first-time driver's under 18 years old must complete 40 hours of behind-the-wheel driving practice with your parent or legal guardian supervising you. It's important to also note that 10 hours of the required 40 hours must be driven at night. Provide proof of your name/address change. Submit a completed Application for Name and/or Address Change, Date of Birth and/or Social Security Correction, or Special Mailing (Form 4057). Submit a completed Application for a Beginner's Permit, Driver's License, or Identification Card (Form 447-NC). Pay the $2.50 replacement fee. Affidavit for Lost/Surrendered Drivers License (form DL-49). Report the loss or theft to your local police station as soon as possible. Now that you have your South Carolina beginner's permit, it's time to embrace the open road. Keep in mind that while you're in this initial phase of driving, you're very much a beginner. Pay attention to your surroundings and your supervising driver so the roads can be safer for us all. Your next step in the South Carolina GDL process is to get your conditional license. For more information, please refer to our Applying for a New License page.